Horrific scene was witnessed by the visitors SeaWorld Orlando in Florida, United States (U.S.). A dead whale trainer sunk by the animal in front of the audience. Dawn Brancheau was killed after the show "Dine with Shamu" featuring whales. 40-year-old woman had just finished performing with Tillikum session, SeaWorld whale is the largest and the only adult male whales. A witness, Victoria Biniak, told Florida news source WKMG that the trainer was grabbed by an orca shortly after delivering a speech to an audience gathered for a public whale show. But a spokesperson for the Orlando County Sheriff's Office, Jim Solomons, said that it appeared the trainer had slipped or fallen into the tank, apparently contradicting Biniak's description. "This appears to be an accidental death, a tragic death," Solomons said. The trainer was already dead when emergency personnel arrived, Orange County Fire Rescue spokesperson John Mulhall told WKMG. An investigation into her death is underway, and Brown said that "all of [SeaWorld's] standard operating procedures will be under review" in light of the incident. The whale, identified by WKMG as a very large adult male named Tilikum, "took off really fast in the tank, and then he came back, shot up in the air, grabbed the trainer by the waist and started thrashing around, and one of her shoes flew off," Biniak told the station. Making composite cables and wires in electrical and electronics sector is growing, among others, to wrap the cable isolator requires the use of high temperatures, the use of anti-flame. It is also necessary for the material that has high temperature resistance, inexpensive and environmentally friendly. At present we can find a variety of composite cables for military applications, automotive, telecommunications, medical and others of his. Composite cable can also be found on the Audio Video equipment our home, such as LCD or Plasma TV. Composite-video cable is created in the transition of black and white television to color television, which is the best option to continue the signal. Many companies that make and provide a variety of cables with a variety of advanced technologies. One company in the field was Thermax which can help an industry to implement a variety of your technology. Thermax will provide a variety of innovative designs and manufactures high. If you need a composite cable can contact Thermax Representative. They will be ready to assist you in fulfilling all your needs in providing a composite wire and cable quality. I was on vacation last year in Scottsdale, Arizona. The city is located in the Salt River Valley, or The Valley of the sun. There I had visited the Fountain Hills with the beautiful scenery with a full range of facilities. You can try some of the challenges in a beautiful golf course. The most interesting part of Fountain Hills is a famous fountain in the world that has existed since 1970, he height taller than the Washington Monument. I think if we lived in Fountain Hills very fun with the cool air and fresh, perfect for staying with my family. I am trying to find information about a house in Fountain Hills. After tracing the various agencies that offer Fountain Hills Home for Sale , I fit the bid offered by Holm Group. 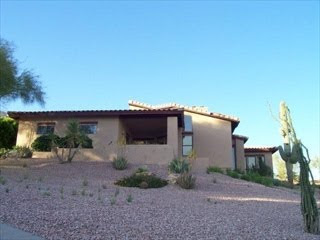 They really helped me when looking for a house that I want in Fountain Hills. They also provide very detailed information to me so that we were not disappointed. The price offered is not too high, according to my budget and my desire. I found a good Residential equipped with 3 bedrooms and 2 bathrooms, perfect for our little family. The garage is large enough to load a car 2. The scenery is beautiful with a yard large enough so that children can play around the house. Students of Akademi Kesejahteraan Sosial (AKS) Ibu Kartini, Semarang, initiated a world record in the form of mountain (cone) which made of "Tahu Pong". Cone of "Tahu Pong" has 4.3 meters high by 6.54 meters circumference. This fantastic record finally recorded at MURI with No. 4158/R.MURI/2010. 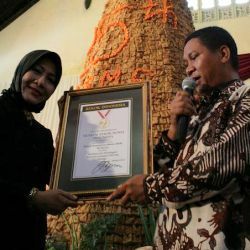 Paul Pangka, Senior Manager MURI, said that the AKS Ibu Kartini has created a new world record. "This world record. The only mountains are made of Tahu Pong only in Semarang, "said Paul Pangka, Saturday (20/2/2010). Records was made on Friday at 21.00 pm yesterday until today at 07.30 pm, by entire student Department of Tata Boga, Semester I. This giant cone made from 7000 Tahu Pong. According Listyarini Diah, Director AKS Mother Kartini, MURI record is not the main target. The main concern in this activity is the preservation and love of food typical campaign Semarang. "We want to emphasize that Semarang culinary likes and locals love their area specialty. So the main objective is not to make a record, "said Diah. Tahu Pong is a typical food of Semarang, in addition to lumpia, bandeng presto, and wingko babat. It feels very soft in hollow center. This record was created in order to celebrate 25 years AKS Mother Kartini Semarang. With its opening, Dear John debuted as the No. 1 movie with $32.4 million, knocking off Avatar after seven weekends in first place. The film has a record opening for Super Bowl weekend, topping the $31.1 million debut for Hannah Montana & Miley Cyrus: Best of Both Worlds Concert in 2008. It is also the best debut for a film based on a Nicholas Sparks novel. The movie opens with John Tyree, a young soldier from the Army Special Forces, lying on the ground in his army gear with gunshot wounds. Coins begin to fall over him as he remembers a childhood trip to the U.S. Coin mint. He goes on to state that he is a coin in the United States of America's army, and that the last thing he thought about before he blacked out, was you. In 2001, college student Savannah Lynn Curtis (Amanda Seyfried) is on spring break when she meets John Tyree (Channing Tatum), a young soldier on leave from the Army Special Forces. In a matter of days, Savannah and John fall in love. John meets Savannah's family as well as her neighbor Tim and Tim's autistic son who looks up to Savannah, Alan. Savannah meets John's father, who is only interested in his coin collection, but still befriends her. John explains to Savannah that his father has always been obsessed with coins, and has not been much of a father to John since John's mother left. Savannah mentions John's father may, like Alan, have autism, causing John to become upset and believe Savannah is calling his father retarded. He also gets into a fight with Savannah's rich neighbor and accidentally punches Tim in the process. John apologizes to Tim the next day and leaves Savannah a note, seeking her forgiveness before his leave comes to an end. Savannah gets the note, and they spend one last day together. John returns to the army and he and Savannah begin a long distance relationship through handwritten letters. John believes that year will be his final year of enlistment, but, following the September 11 attacks, is torn between returning home and his sense of duty. He is given eighteen hours off, which he spends with Savannah and her family as well as with his father. He asks Savannah for her opinion on whether or not he should reenlist, and she tells him to do what he feels is right. Like the rest of the soldiers in his unit, John chooses to reenlist. Over the next seven years, John faces increasingly dangerous missions and begins to live almost entirely for Savannah's letters. However, John and Savannah find themselves drifting apart. Finally, Savannah, sad but resigned, sends John a Dear John letter, informing him that she has become engaged to someone else. John is deeply depressed and frustrated and believes she is engaged to her rich neighbor. On a mission, he enters a dangerous area and is shot several times by an enemy. His captain suggests that John go home and spend time with his father, but John, still upset about Savannah, chooses to reenlist again. He decides that he will make a career of the Army and stay enlisted for as long as possible. He is informed after another mission that he is being sent home, because his father has had a stroke. He spends the last few days of his father's life by his side, and writes him a letter. His father has difficulty opening it, so John reads it to him. It is then that the viewers find out that when John's speech at the beginning of the film addressed his father, not Savannah. He and his father connect in a tearful moment, and his father passes. John decides to go see Savannah, and discovers she married Tim, not her rich friend. Savannah tells him Tim has cancer, and is not allowed to leave the hospital. She says that the only way he can come home is by having a operation that they cannot afford. John visits Tim in the hospital and leaves Savannah. John then sells his father's coin collection and donates the money anonymously to finance Tim's operation so that Tim may spend his last moments with his family. In the last scene of the film, John sees Savannah on the street and they embrace. Here is the FULL LIST of the Oscars 2010 Nominees. Who among these Oscars 2010 nominations are your bets to win the Oscars 2010 Award? 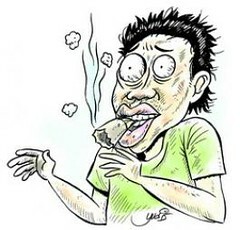 Bekasi, Clas Mild tobacco companies should be responsible for the incident with the victim's cigarette exploded Andi Susanto (31), resident of Pondok Tanah Mas Housing Wonosari, Bekasi. Andi Susanto lost five teeth and get a few stitches in the mouth after Clas Mild he smoke exploded. The incident occurred on Thursday, January 29 evening. Until now he is still being treated in hospitals Adam Talib, Cibitung, Kabupaten Bekasi, West Java. Andi, The Security guard companies in the region eksavator Cibitung MM 2100, Bekasi West Java, now lying low in Room No. 4 RS it. Part of his face around the lips look white plaster to close the wound. He was reluctant when asked to talk. The accident on Thursday last week was unexpected, Andi. Citing the recognition Andi, Ny Ninik recalled, when her son was smoking a cigarette Clas Mild (production of PT Nojorono Holy, red) when about to leave to work in the region 2100 MM Cibitung, Bekasi. At around 18:30 pm. After buying cigarettes at the shop Clas Mild Mrs. Bannerman, neighbors, Andi was ready to ride motorcycles to go to office. While on a motorcycle, he was a new cigarette lit. However, suddenly burning cigarette and pulled out a loud explosion. According to Police Chief Wibowo, Andi purchased cigarettes still in sealed condition. Therefore, the remaining sticks of cigarettes smoked by Andi will be checked at the police forensic laboratory to determine whether there is also content with explosives in it.